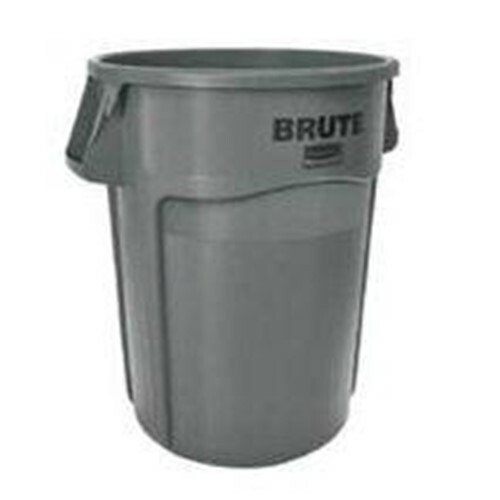 BRUTE Utility Container features innovative solutions for making waste collection more efficient along with the quality, durability and superior performance found in every BRUTE product. Integrated, patent pending venting channels dramatically reduce the force required to remove a filled can liner by over 50 percent* compared to traditional containers. *Based on internal testing. Patent pending can liner cinches. Improved ProTouch handles. Can be used with the full line of BRUTE accessories. Certified to NSF Standard 2 gray, white, yellow, blue and black and Standard 21 gray, white, yellow, blue, red and black. 2647 88 is California State Fire Marshal CSFM approved for fire safety when used with 2643.